Superb. The example does not do this application justice. Indeed an Awesome Way to view your submissions. Great! 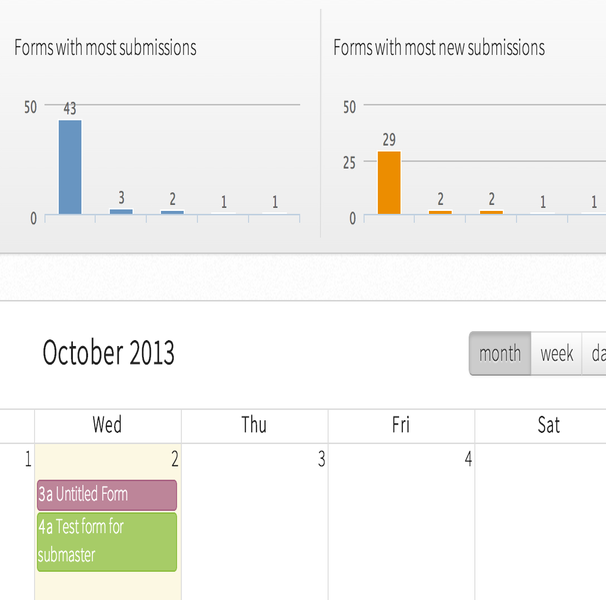 I could be better if we could edit data form calendar. 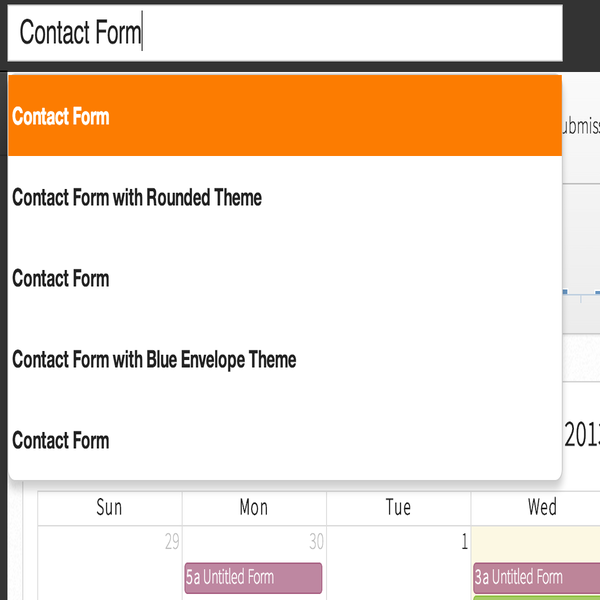 This could allow edit hide field of form. 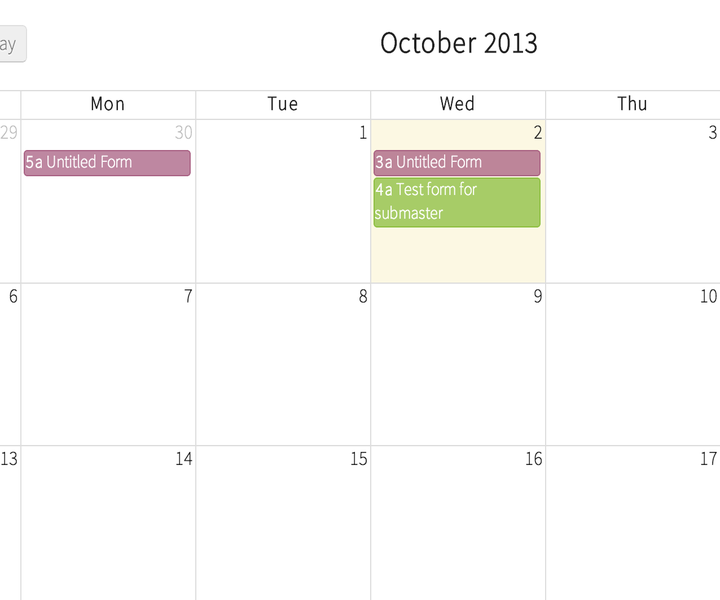 And take an ajax search in calendar input field for calender data. A entry could be flag and marked as new. It will be great if the app could tag a color for entry by determined type of treatment. Need to see number of submissions per MONTH (not just per day). Thanks! Very nice alternative view. Need to figure out how best to leverage info. Superb! 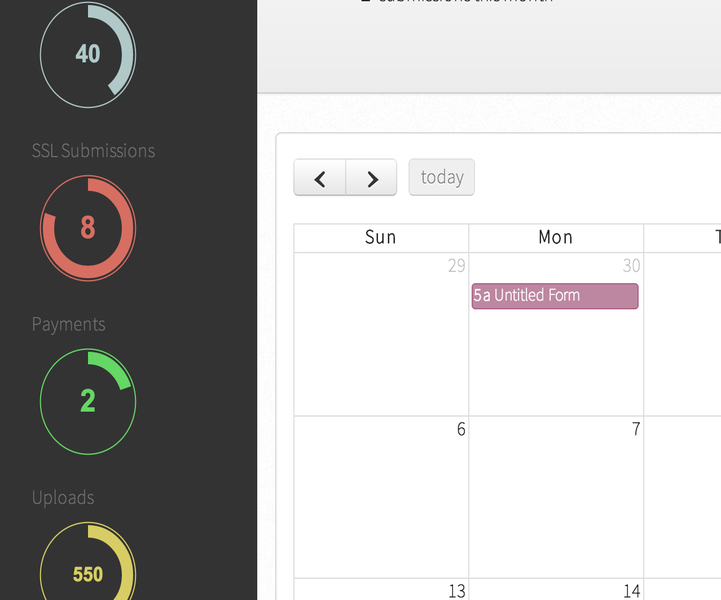 I can now view submissions per month! I couldn't find any other way to do this. Very cool. Nope, neither this app nor "Submission History Ap" will give me past months TOTAL submissions for all forms on my account. At least with this one I can manually count them. How to remove the integration with SubMaster?